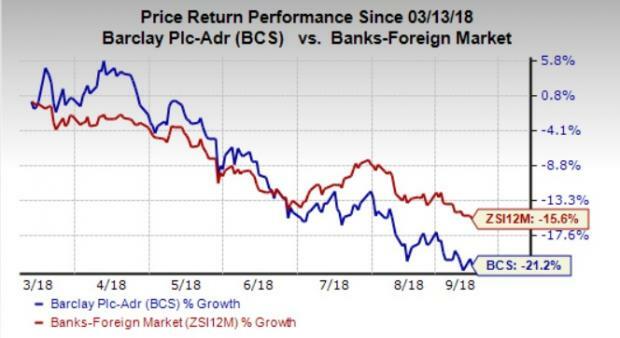 Barclays PLC’s BCS top executives have informed U.K. lawmakers that as part of the company’s Brexit plans, it is going to hire 150 people in Europe, per Bloomberg. Kevin Wall, the CEO of Barclays’ Irish unit has told members of the U.K. Treasury Select Committee that these new roles are going to be over and above the 150 current U.K. jobs, which are likely to shift to Dublin, post Brexit. The Brexit referendum gave rise to an uncertain economic and political environment for banks. Hence, banks started gearing up by moving jobs outside the U.K. According to a survey conducted by Reuters in March, around 5,000 jobs will be moved out of Britain to accommodate any adverse scenarios, resulting from Brexit. Most of the banks have chosen Paris, Frankfurt, and Dublin to be their preferred locations to move jobs out of London. Notably, in the last month, Barclays started initiating steps to transfer ownership of European branches from a British-based entity to the bank’s Ireland unit. Earlier, in July, it relocated around 40-50 investment banking jobs from the U.K. to Frankfurt. Recently, Michel Barnier, the chief Brexit negotiator of the EU has notified that there are high chances of an agreement on terms of Britain’s exit from the EU to be made by early November. However, on the assumption of a no-deal messy exit, all the big banks, which are likely to be affected, are now putting their plans to action. HSBC Holdings HSBC recently transferred the London branch’s ownership in its Polish and Irish subsidiaries to the unit in France, while Credit Suisse CS chose Frankfurt, Madrid and Luxembourg for shifting its investment banking jobs from Britain. JPMorgan Chase & Co. JPM has also initiated relocation plans for several dozen of employees at its U.K. offices in a bid to ensure business continuity post Brexit. While Citigroup C already has majority of its EU employees outside of Britain, the bank still expects nearly 150 jobs to be affected in case of a no-deal Brexit. Over the past six months, shares of Barclays have lost 21.2% compared with the industry’s decline of 15.6%. Currently, Barclays has a Zacks Rank #4 (Sell).